Inspired by self-reflection and the theater of the domestic, these works reveal non-linear narratives inspired from a life loud with children, laughter, cynicism, work, and vivid dreams. 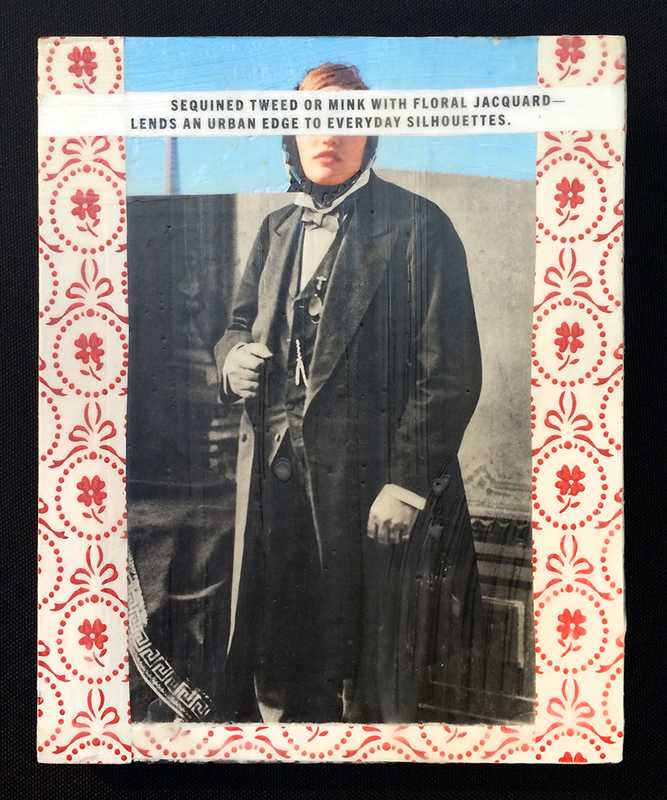 Each piece combines found paper, ephemera, and vintage photos with book pages and original photographic images. The parts are assembled on wood using encaustic as the medium of collage and vehicle for image transfer. 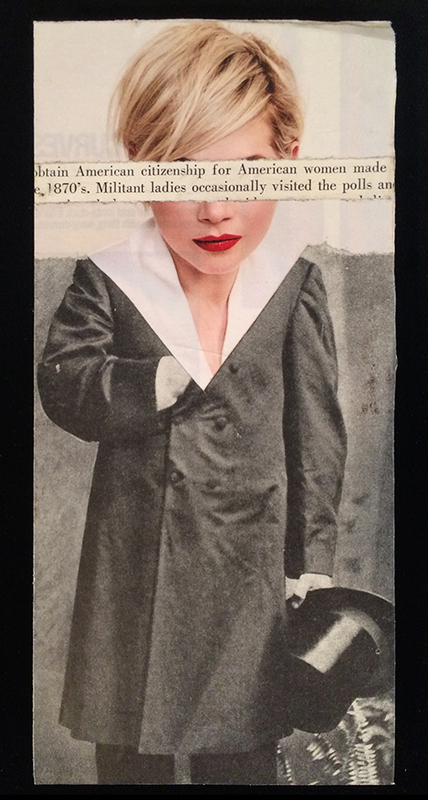 The stitched, collaged, layered aspects of life, pieces of domestic space, and unexpected portraits, are both real and imagined. Through this work discarded materials are unified as a way to reclaim the past and blend it with the present.